Of all people, it was my sister who lives in Auckland from whom I first heard that one of our contemporaries had passed on. Her message was very brief and indeed, she wanted to know if I knew anything. No, I replied. I was hearing about it for the first time. My elder sister did not know anything, either; but I asked her to do a bit of research on her own. She promised to get in touch with a friend who knew the person allegedly deceased. Meanwhile, I scoured Facebook for any announcements, even visiting the profile pages of contemporaries who are always among the first to make announcements regarding people’s passing. There was nothing at all. Now this elder sister of mine, she alone of all five of us siblings who is a distant relative of Albert Einstein. I mean, for her, time is always relative. I pray the rosary every day; and when I do so, I always make it a point to offer my prayers for the repose of the souls of the deceased. If I know anybody who recently passed away, I make it a point to offer my intentions for the repose of that person’s soul. Because I was not certain that this contemporary of mine had indeed passed on, and because my sister in Auckland sounded certain that he had, I felt it obligatory to mention his name in my prayers. Albeit adding a conditional “if he is dead,” and all the while feeling somewhat foolish about doing so. Two days later and I felt enough time for Einstein’s distant relative to deliver on what she promised. Of course, she had forgotten all about it; else she would not be my sister. So she hurriedly called her friend, all the while promising to get back to me. In five minutes, she got back to me with a text message. Her friend did not know anything. So my sister sent a text message to my elder brother who is currently based in Puerto Princesa. It was my brother who finally confirmed that the allegedly deceased is, in fact, still very much alive; and that it was his brother who had passed on. However, that was just about all my brother knew. Yesterday, I chanced upon a childhood friend at SM who told me that the deceased had already been laid to rest. What a pity that I was not able to visit his wake to offer my personal condolences to the bereaved; but at the very least, I can now offer prayers for the repose of the soul of the correct person. This incident has reminded me of an experience which has taught me to always make sure when I hear news that someone I know has passed on to verify first if the news is true. Back in the late nineties, for reasons I have never really discovered, news began to circulate that John Dimaculangan, one of my former players, was killed in a vehicular accident in front of UST. Reyan Quinto, John’s teammate, broke the news to me as he was about to enter my house. I lost two players within the space of 23 days to separate vehicular accidents in 1991; so news like this was always bound to have a chilling effect on me. In fact, as soon as what Reyan told me sank in, I felt the blood drain from my face and all my bones instantly turned to jelly. My knees involuntarily buckled as I fell onto the sofa, completely stunned. As soon as I regained my wits, I ran to my room to get dressed so I could rush to John’s house where I was sure the wake had already been set up. And then common sense finally prevailed. I decided to call Rommel Cabrera, another of John’s teammate who lives close to John’s house, to ask him to see if indeed the body had been brought home. Rommel, who was out partying the previous night, had just woken up and was as stunned as I was to hear the news. But wait! In a moment, he recovered his wits and remembered that he had seen John during a concert held the previous night in school. He wanted to know what time John’s accident was supposed to have happened. Reyan said it was during the day. So there you are! The ‘late’ John Dimaculangan, who was supposed to have died in an accident the previous day, was out enjoying a concert that very night. To think moments before I was just about to rush to his wake. To this day, I sometimes still wonder what would have happened had I not called Rommel and gone straight to John’s house. There was just this one last incident that can still make me smirk after all these years. The kindly people at the campus ministry office, if they get news that an alumnus or anyone associated with the school had passed on, always made it a point to offer the morning prayers for the repose of his soul. Of course, the morning prayers were said over the public address system, which made it a little problematical this one time when the alumnus for whom the previous day’s prayers were offered turned out to be very much alive. 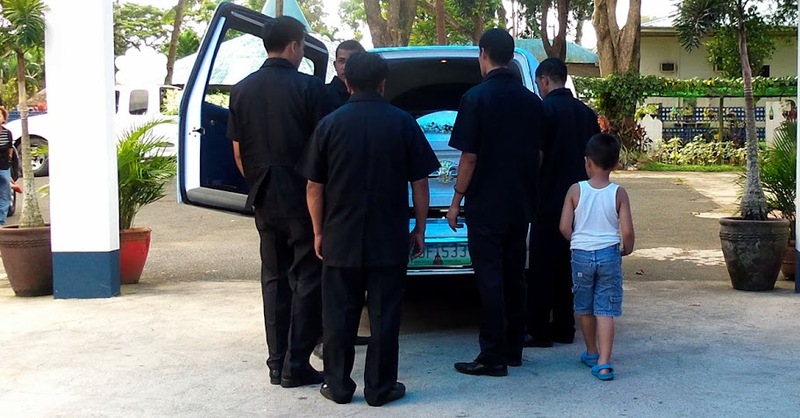 In cases like these, however, if it is any consolation to those who are erroneously announced to have died, Filipino superstition says that they will instead live longer lives than even they perhaps can ever hope for.